Browns recently got in touch and asked if I wanted to try their new menu. Obviously I said yes. At the time it was my first cheat meal of 2017 after a good six weeks of clean eating. For me this was perfect timing, a well earned treat. Browns Brighton can be found in the lanes and is easily spotted with it's huge logo and large, inviting windows. Inside is a well arranged lay out, decorated with classic pictures on the walls, mirrors, large potted ferns and finished with rich mahogany tables and seats. In the summer the front shop windows open right up giving you the chance to enjoy the weather and soak up some local life too. The atmosphere is relaxed and has a kind of 1920s feel to it, ambient lighting mixed with the wondeful decor makes for a delightful visit - even if just stopping for a quick lunch. Naturally after a generally low carb diet for six weeks, what do you want to eat by the pound? Cheese. And if there's cheese you need wine, red wine. A bottle of red enjoyed generously with a baked Camembert, with crusty bread and a rhubarb and tomato chutney. Rosie loves pasta, as do I but the steak menu could not be turned down, it was much needed protein anyway, post gym etc. 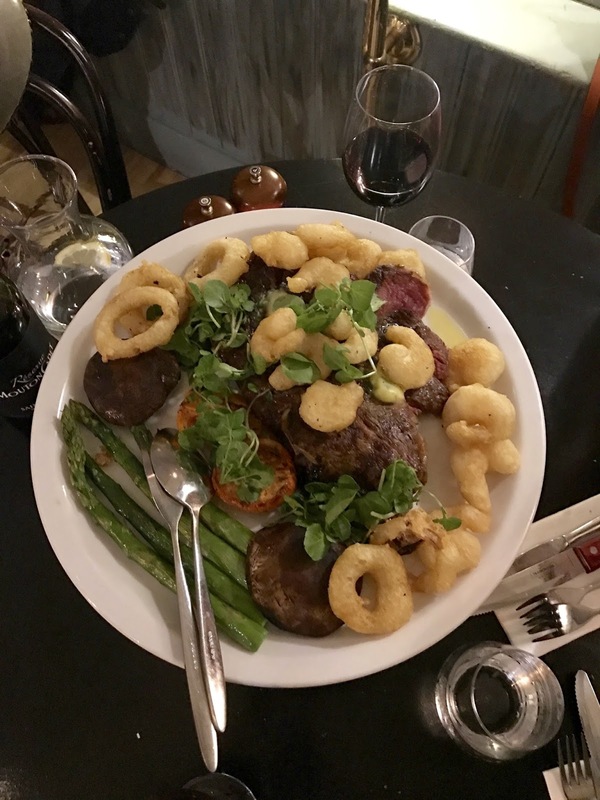 The 'Tender Beef' specials menu if you're a meat lover can't be ignored. Something I only learned of on the night is that Browns rear their own cattle, this is from a grass fed calf, to being served on your plate. With this comes the highest quality cuts of beef, tender, and oozing flavour. We ordered the Cote de Boeuf, a single slab of meat that was absolutely huge, the biggest I've had on a plate anywhere in fact. 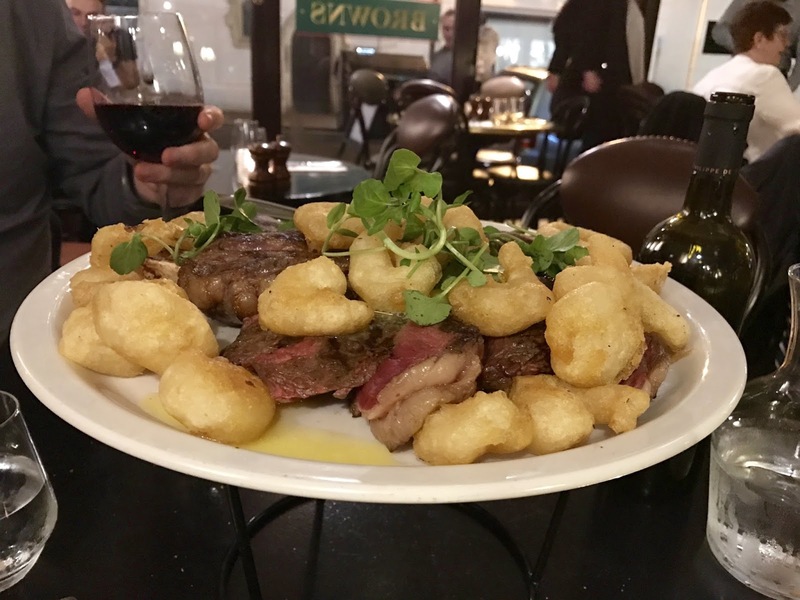 This comes served with onion rings, chips, portobello mushrooms, asparagus, a bearnaise sauce and topped with some equally as hearty tempura prawns. This is a plate I would advise eating if you've brought your appetite! This is a lot of food! After another glass of wine or two I made the tough decision of opting for a dessert, purely down to being stuffed already due to half cow I'd previously consumed. 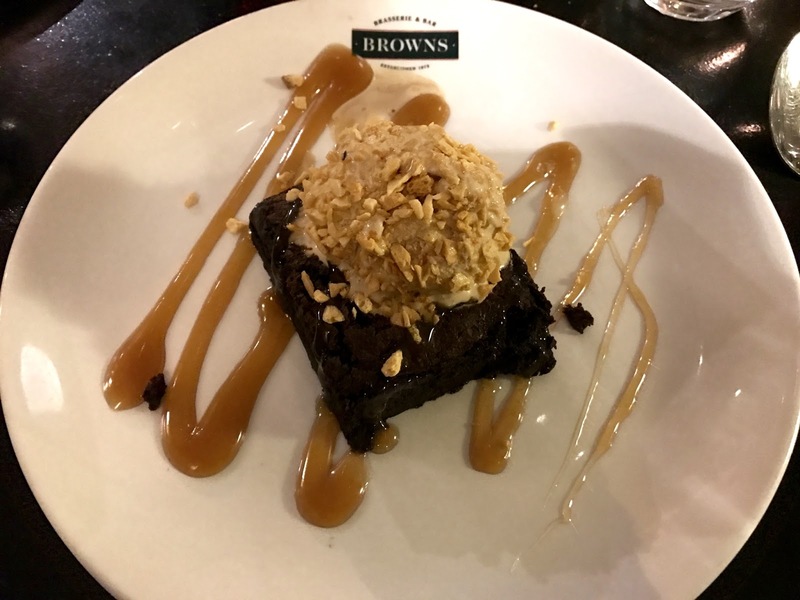 The chocolate fudge brownie is on another level, drizzled with honey combe ice cream and a sweet toffee sauce. Luckily living in Brighton I have the option to walk home, much needed after such a feast. The menu is of top qaulity, bringing a high standard of service, cuisine to cater most palettes. You can dine in Browns for two, or why not book a table for more. The food is top notch and ticks all the boxes. Where to eat in Brighton? Browns is the answer. 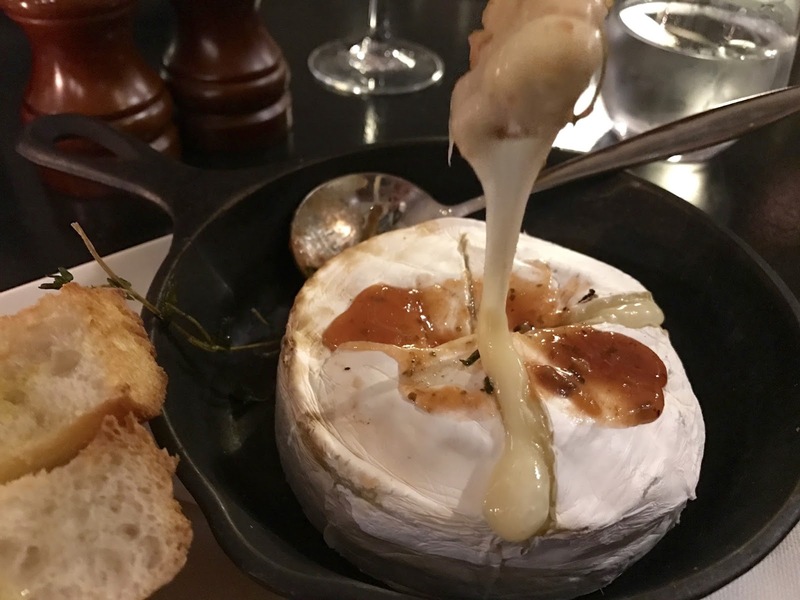 Literally nothing beats baked camembert! Jealous. I wonder if my local Browns has a similar menu, looks delish!